An elegant red satin heart box for one of our most exquisite selections. Our truffles have luscious "liqueur" flavored, cloud-like centers such as amaretto, champagne, rum, chocolate, raspberry, caramel and coffee. 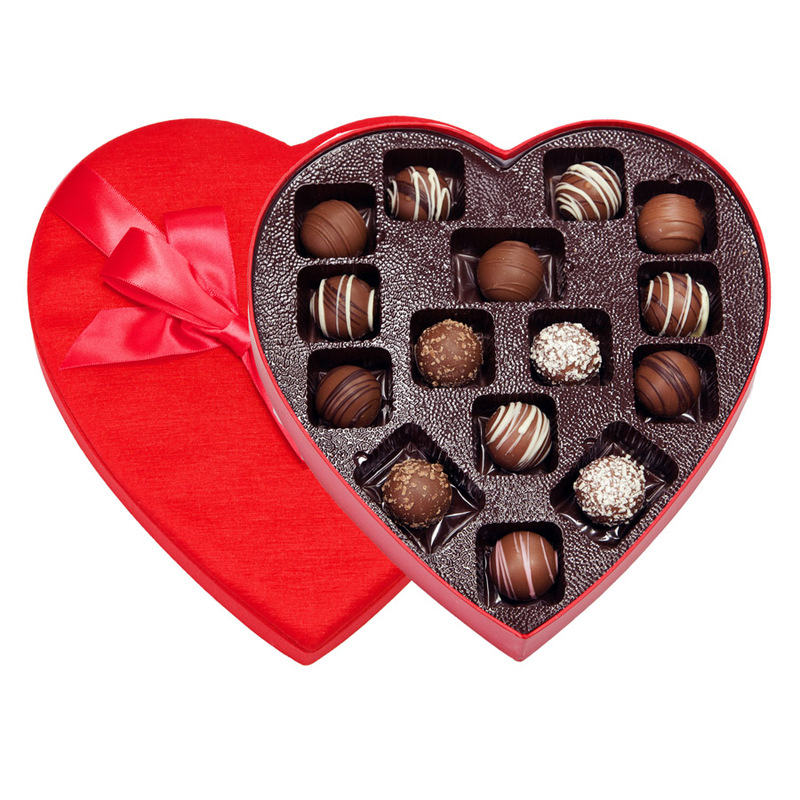 Say “I Love You” with our delicious chocolates this Valentine's Day. Available in 1.5 oz., 3 oz., 4.5 oz., 6.5 oz. and 15 oz.